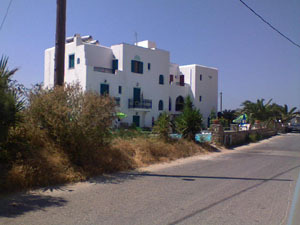 Previously called "Zaharatos Studios", located on the outskirts of Naxos town close to Saint George beach. Sunlight Studios has a garden and a pool. 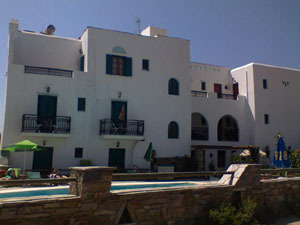 All its studios are equipped with private bathroom, fridge, kitchenette, television, air condition and balcony or patio. Sunlight Studios are about 300 metres from Saint George beach, 900 metres from the town center, 100 metres from the Koutelieris Supermarket and 150 metres from the bus stop.